Panther Island Ice is a seasonal outdoor ice rink in Fort Worth, located at the Coyote Drive In! Tickets to the Drive In are not required to visit Panther Ice, and the rink opens early, 3pm during the week and 11am on weekends, although pairing it up with a double feature at the drive in makes for a great day! We loved that when we first arrived, my kids had the ice to themselves! Call ahead to make sure they don’t have a big party booked before you go. Dress in layers. It starts off cold, but then you will start shedding those extra layers! Don’t forget socks, but if you do, Panther Ice does sell them. Outside food and drinks are not allowed. The concession stand is open at 6pm on weeknights and 5:30pm on weekends. Visit their website for daily discounts and upcoming events! We arrived about 2 hours before the movie began, and the kids had a great time! We were the only ones on the ice for about 30 minutes, then when other families showed up, the kids all started a fun game of tag on ice and snap the whip! They had a great time! Families with younger children were also on the ice, but they stayed closer to the walls of the rink, except for one little guy who was AMAZING on the ice. Really, I asked and he had just turned 4 years old! For the youngest skaters, they also offer adjustable, double-blade skates. Covered tables make a nice place to sit back and watch the kids skate! Panther Island Ice has birthday party options, and you can bring in a birthday cake. 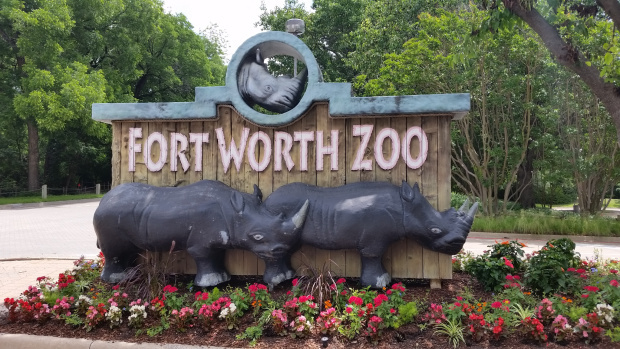 The Fort Worth Zoo has amazing animals from all over the world, such as elephants, giraffes and tigers, and a special area called Texas Wild that focuses just on animals from the different regions of Texas! Click HERE to read my review! 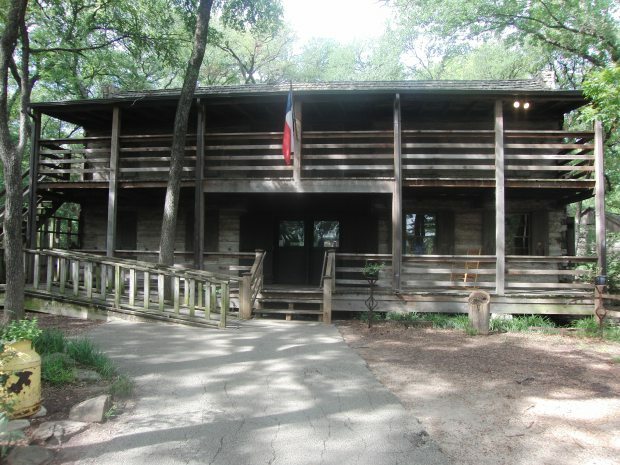 Log Cabin Village is located near the Fort Worth Zoo and Texas Christian University, and invites guest to step back to the Texas frontier, with several different cabins to explore and costumed interpreters who show you how to dip candles, mill grain and much more! Click HERE for my Mommy Tips before you visit! The Coyote Drive In Theater shows first run movies every night! It’s the perfect blend of nostalgia and modern-day fun! Click HERE to read our review!